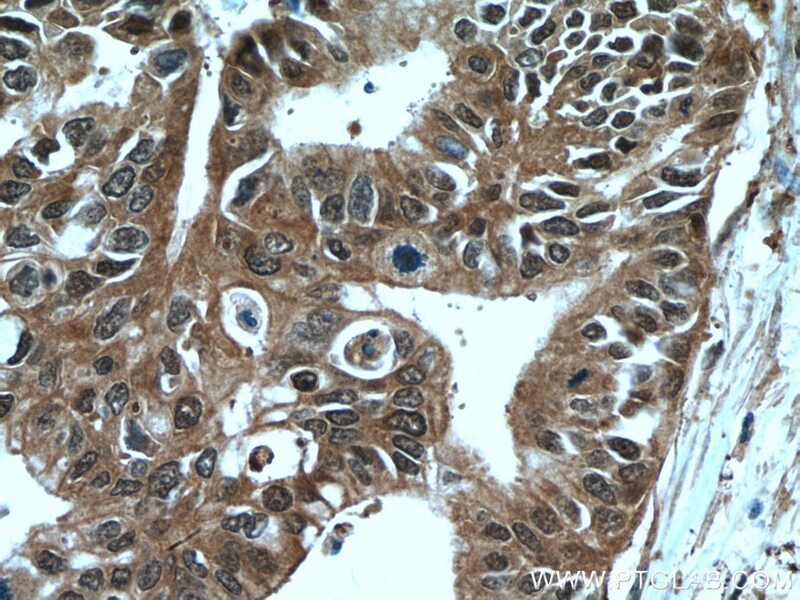 Immunohistochemical analysis of paraffin-embedded human pancreas cancer tissue slide using 15124-1-AP (GSTO1 antibody) at dilution of 1:200 (under 10x lens) heat mediated antigen retrieved with Tris-EDTA buffer(pH9). 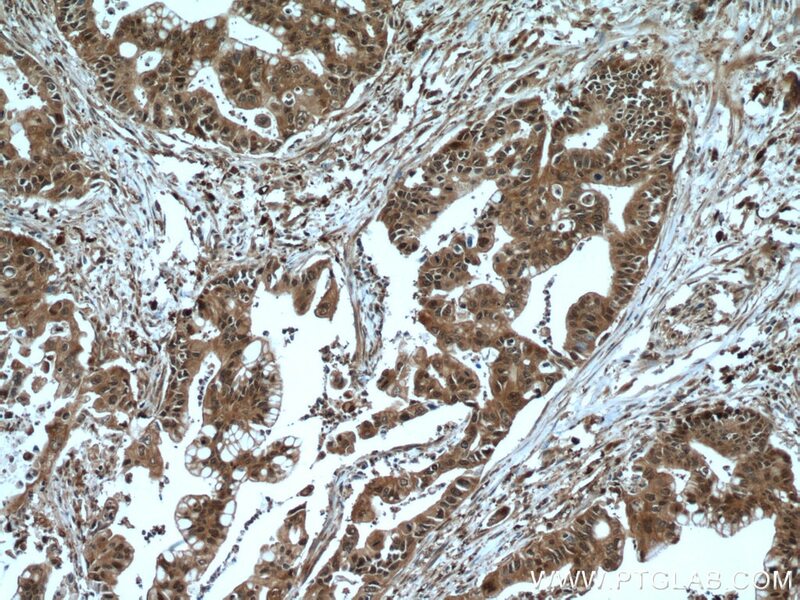 Immunohistochemical analysis of paraffin-embedded human pancreas cancer tissue slide using 15124-1-AP (GSTO1 antibody) at dilution of 1:200 (under 40x lens) heat mediated antigen retrieved with Tris-EDTA buffer(pH9). 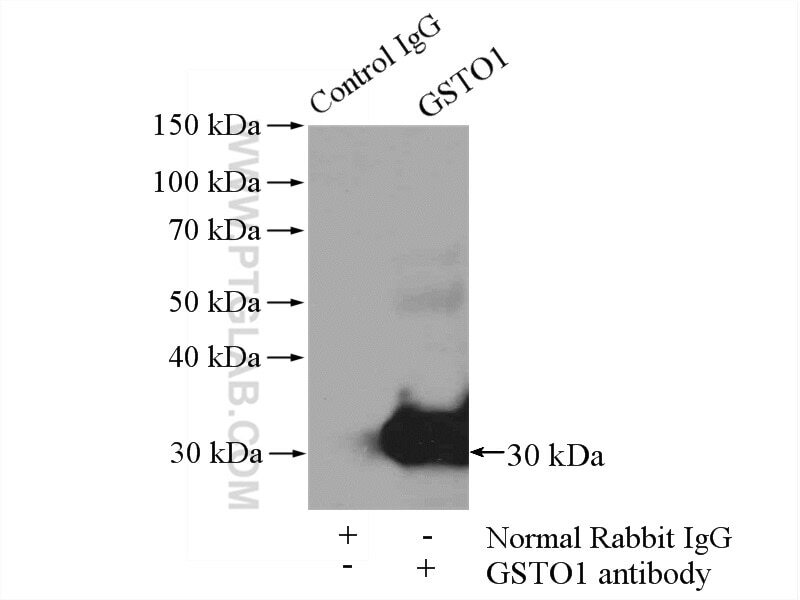 Immunofluorescent analysis of HepG2 cells, using GSTO1 antibody 15124-1-AP at 1:25 dilution and Rhodamine-labeled goat anti-rabbit IgG (red). 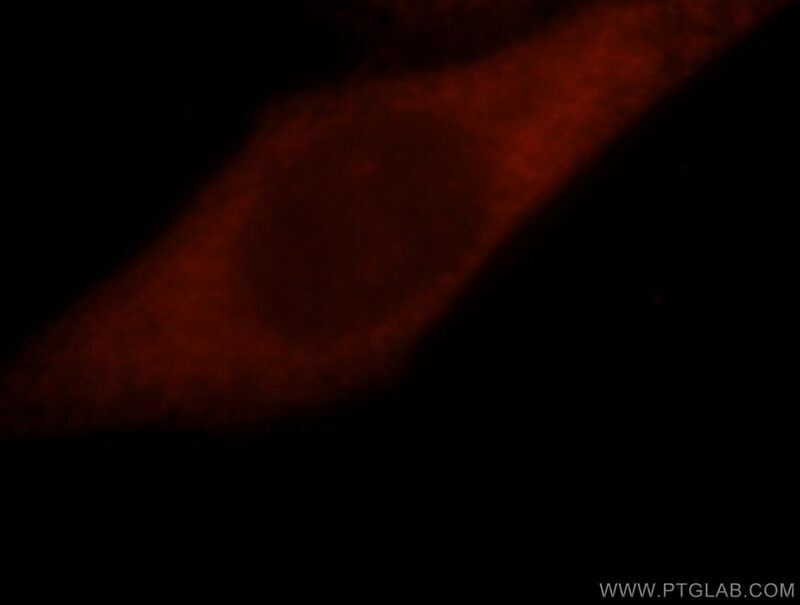 IP Result of anti-GSTO1 (IP:15124-1-AP, 4ug; Detection:15124-1-AP 1:500) with Jurkat cells lysate 4000ug. Downregulation of glutathione S-transferase M1 protein in N-butyl-N-(4-hydroxybutyl)nitrosamine-induced mouse bladder carcinogenesis. Selenophosphate Synthetase 1 is an Essential Protein with Roles in Regulation of Redox Homeostasis in Mammals. The interaction of arsenic and N-butyl-N-(4-hydroxybutyl)nitrosamine on urothelial carcinogenesis in mice. Proteomic profiling of human decidual immune proteins during Toxoplasma gondii infection. Inhibition of NRF2 signaling and increased reactive oxygen species during embryogenesis in a rat model of retinoic acid-induced neural tube defects.